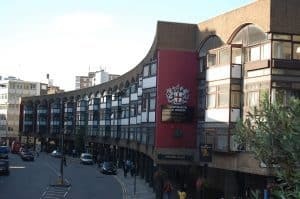 Headed to Open Garden Squares Weekend? We chat to the locals behind an award-winning community garden scheme that has put the Golden Lane Estate on the map. What do Londoners make of our garden squares? For most of us, the term conjures up images of exclusive enclaves of greenery in West London, accessible only by those lucky enough to hold the keys to one of the multi-million pound townhouses that surround them. Unless, of course, you make like Hugh Grant and Julia Roberts in Notting Hill and pull off a drunken shimmy over the fence. 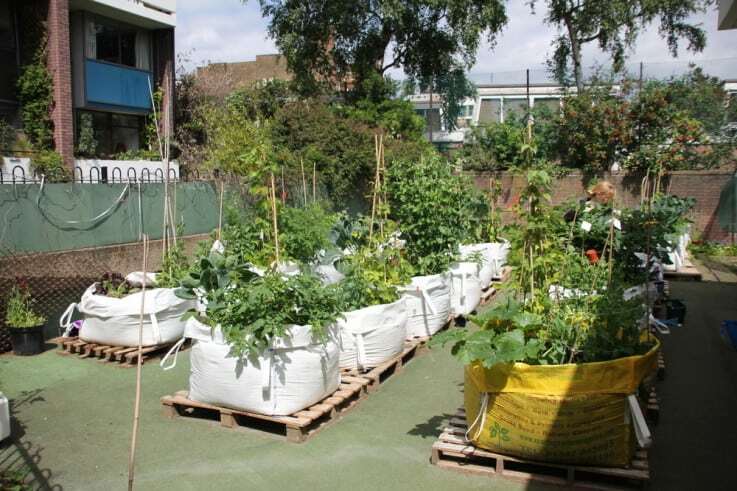 But for residents of the Golden Lane Estate, all it took was a couple of builder’s bags of soil to transform a disused nursery playground into their own garden square of sorts, one of 230 open to the public across the Capital next weekend as part of Open Garden Squares Weekend. The Golden Baggers is a community allotment and wildlife garden for residents of the estate to grow their own fruit, vegetables and flowers. It was founded in 2010 by a small group of residents looking to make use of a vacant lot adjacent to the estate. “There was about six of us who were trying to figure out how to green up the estate – it was all concrete back then,” recalls founding member Liz Smith, known locally as Buffy, who has lived in Bayer House for 20 years. The Golden Baggers started out as 20 one-tonne builders bags of soil. Photo by Steve Smith. 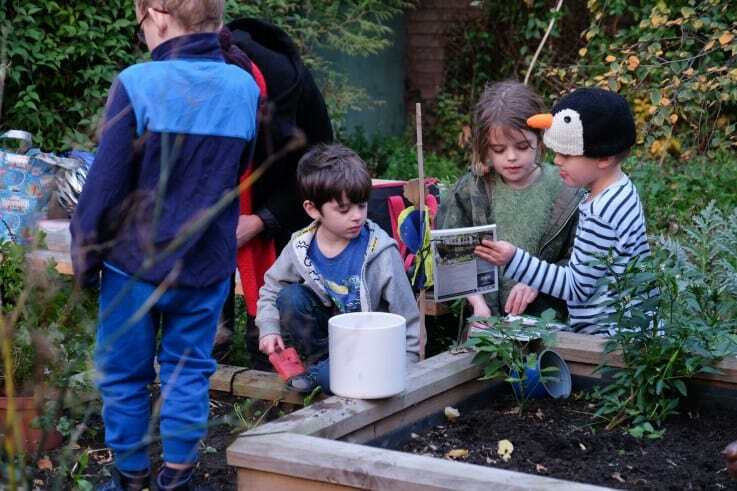 “Once the nursery was relocated we found out that we could take over its playground, as long as we didn’t have anything permanent, so we arranged for some pallet boards and about 20 one-tonne builders bags of soil – that’s how we got the name Golden Baggers. The garden grew, and so did its membership base, and soon there were double the number of builder’s bags sprouting everything from tomato plants to thyme. 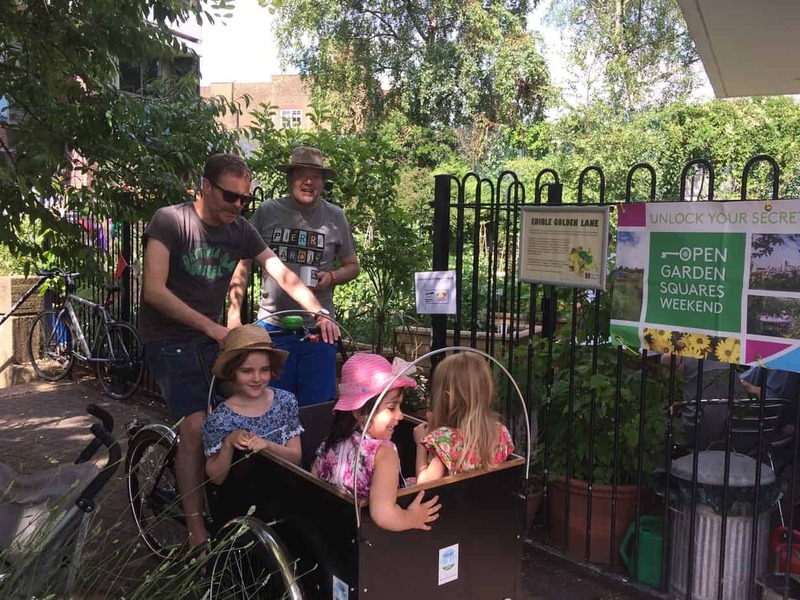 The gardens scooped multiple City in Bloom awards, and a new generation of baggers joined and secured funding to make the allotments permanent in 2016. Today there are 42 timber-framed boxes cared for by around 60 members. There is even a waiting list to join. The Baggers have a couple of potting sheds and a children’s area with garden beds and tools to fertilise little green thumbs. “It’s very much intergenerational now, which I suppose is a reflection on more families moving into the estate,” Buffy says. While the Golden Baggers’ youngest members have relished the opportunity to get their hands dirty, the adults also count the allotments as one of the most important parts of the estate. Basterfield House resident and City Matters columnist Billy Mann says the Baggers were integral to his recovery from a stroke five years ago. But this little slice of paradise could be in danger of losing some of its greatest assets if developers succeed in their bid fell seven cherry and silver birch trees along the border of the allotments to make way for construction work on the neighbouring primary school. 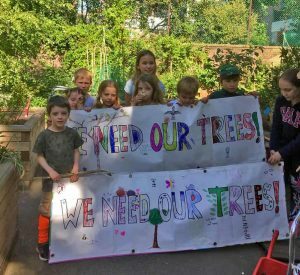 A petition to save the trees has attracted more than 570 signatures from residents, who say removing them will devastate the local wildlife. “These trees provide the backdrop for the entire garden, so it will be heartbreaking to see them removed after so much work has gone in to make this a success,” Buffy says. The Baggers are a popular stop-off on the Open Garden Squares Weekend trail. The Baggers are hoping considerable interest over Open Garden Squares Weekend will help their cause. This year they will be taking shifts to show visitors around the plots and putting on food and live music. Open Garden Squares Weekend is on Saturday and Sunday 9 and 10 June across London.